Anne Elliot has all but given up on love. Eight years ago, she was persuaded by her ambitious family to break off her engagement to a penniless naval officer. But when Captain Wentworth returns from the war, Anne's old feelings are rekindled. He is now a wealthy man: can he forgive her? Told with wit and tenderness, Jane Austen's last novel is a moving story of love lost and found. Published for the first time in flipback classics - so now you can always carry an Austen in your pocket. 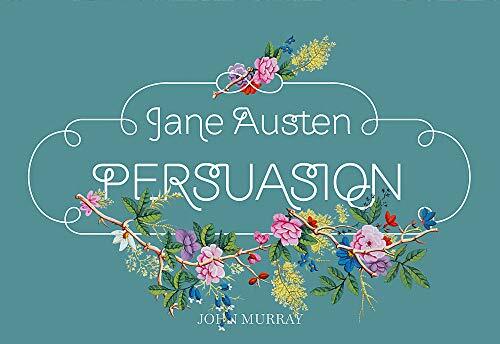 Critics, especially [recently], value "Persuasion" highly, as the author s most deeply felt fiction, the novel which in the end the experienced reader of Jane Austen puts at the head of the list. . . . Anne wins back Wentworth and wins over the reader; we may, like him, end up thinking Anne s character perfection itself. from the Introduction by Judith Terry"
Critics, especially [recently], value Persuasion highly, as the author s most deeply felt fiction, the novel which in the end the experienced reader of Jane Austen puts at the head of the list. . . . Anne wins back Wentworth and wins over the reader; we may, like him, end up thinking Anne s character perfection itself. from the Introduction by Judith Terry"
The Broadview Editions series is an effort to represent the ever-changing canon of literature in English by bringing together texts long regarded as classics with valuable, lesser-known literature. Newly type-set and produced on high-quality paper in trade paperback format, the Broadview Editions series is a delight to handle as well as to read.